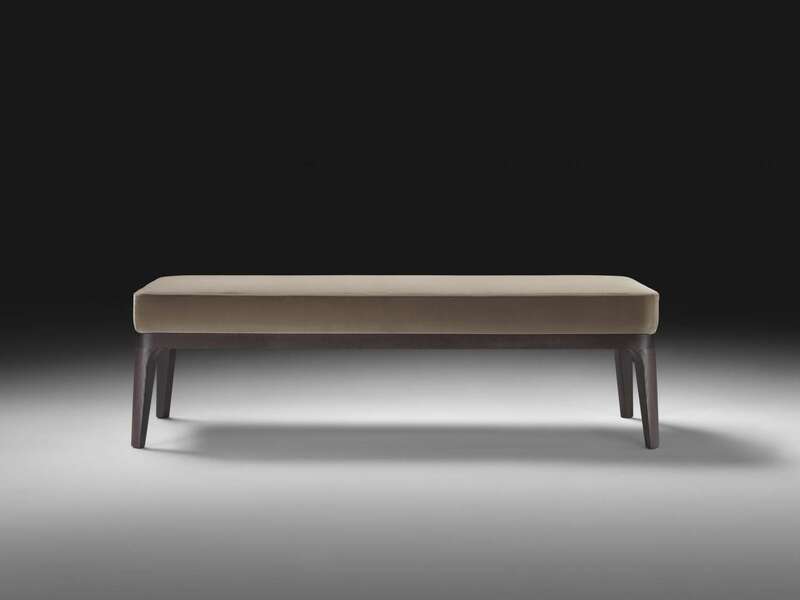 Bench and ottoman with solid wood base and upholstered seat. 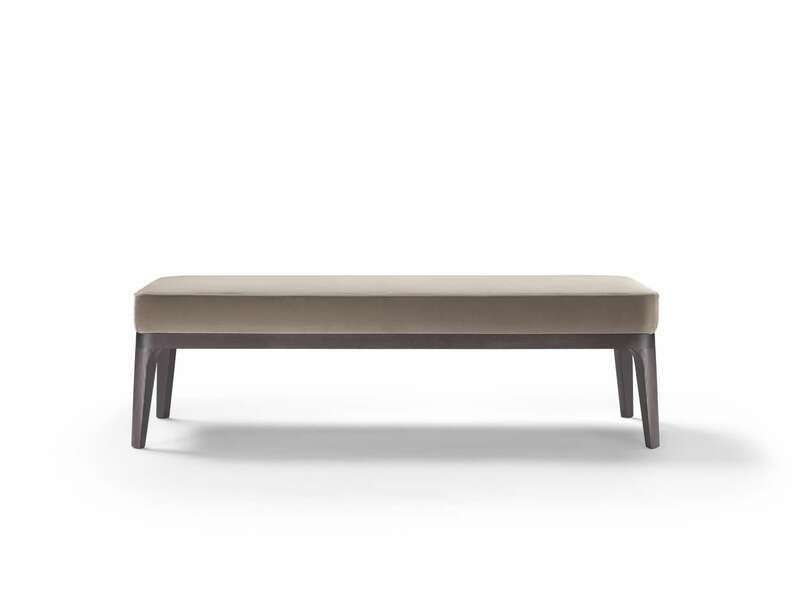 The bench is ideal for positioning at the foot of a bed as a place to put clothing, but it is also perfect in a vestibule, the corner of a study, or the living room. The various wood finishes and the many fabrics and leathers available make the ottoman a versatile, multifunctional item that adapts to every space in the home.